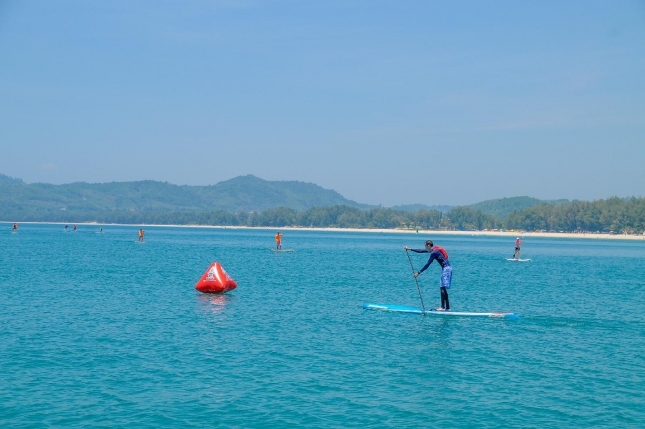 And now to one of the more exotic races on the international calendar: The Thailand SUP Festival, which was held in Phuket last weekend and dominated by Team Starboard, and in particular their dark horse names-to-watch team riders, Bruno and Daniel Hasulyo. Now in its 4th year, the Thailand SUP Festival brings stand up paddling to the tourist friendly resort town of Phuket. 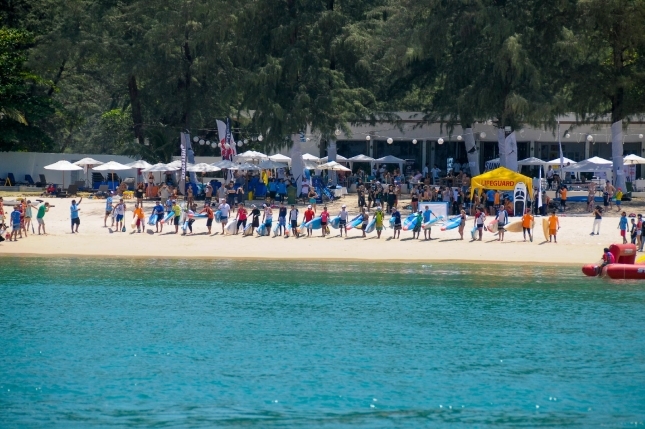 The race is, by all accounts, the largest stand up paddle event in the country, and this year it featured 70 domestic and international competitors — a good sign for the sport in a country that has a lot of potential to become a true SUP mecca. The event featured sprints, distance racing and team relays. 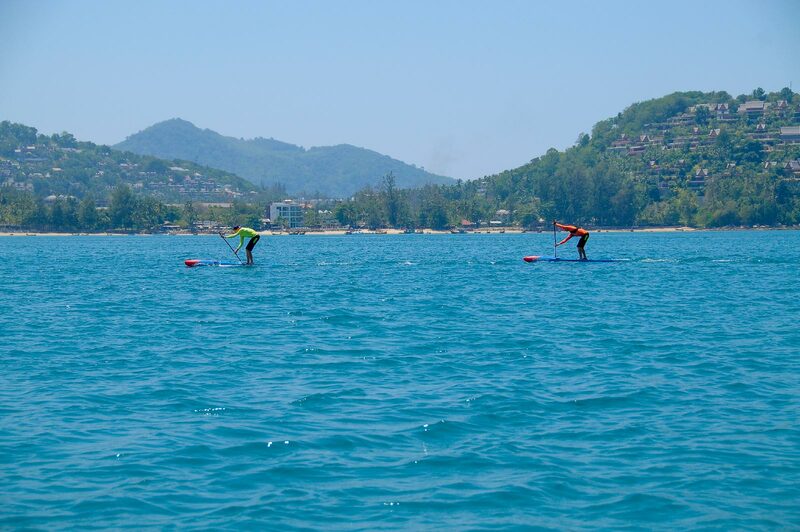 Oh and there was also a SUP polo session, which, speaking from personal experience, is pretty much the funnest thing you can do on a stand up paddle board. But let’s get back to the racing: Taking the top spots in both the sprint and distance events were Bruno and Daniel Hasulyo. You may not have heard of these guys before (unless you followed our coverage of the 2015 SUP 11 City Tour, where they made a strong impression), however I guarantee you’ll be seeing their names a lot more this year. 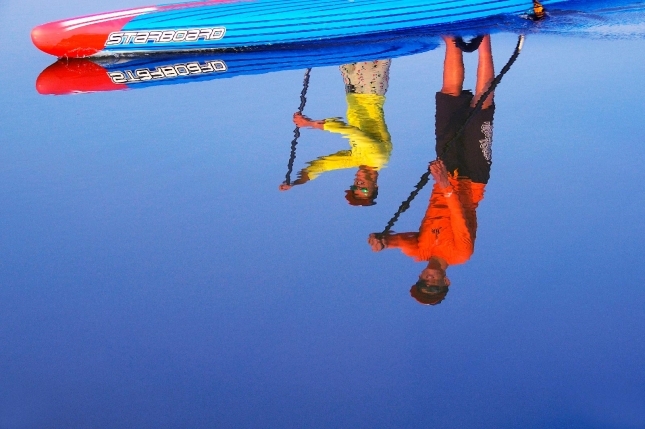 These guys are two of the hardest-training, fastest-racing, most-stoked out paddlers you’ll ever meet. And although the level of competition in Thailand wasn’t exactly PPGs level, I’ve got a good feeling the “SUP Broz” will be able to take down a few big names and shoot up the top 100 leaderboard this year. Hailing from Hungary but having spent the past few years living in New Zealand (and now based in Bali for the pre-season), the brothers are planning to hit all the big international races this year, so keep an eye on them at Carolina next month (especially at the start — they have a reputation for setting a ridiculously fast pace straight off the line). Great event! Amazing location! Lots of friendly faces and sport enthusiasts! 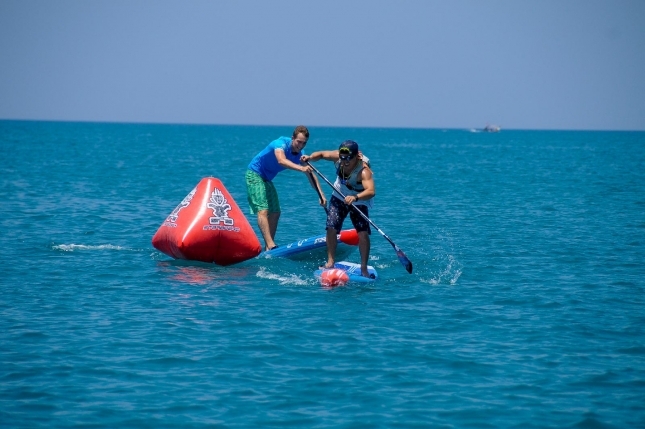 The 4th annual Thai SUP Festival was a blast! With team relays, family races, sprints, SUP Polo and a fast-paced 6km (3.7 mile) race under the melting heat of Phuket’s midday sun, the event really showed all aspects of stand up paddling. Smiling faces from many different countries came together to race and share this great experience! Also for my brother Bruno and myself, it was a great opportunity to see how our training was progressing ahead of the international race season. 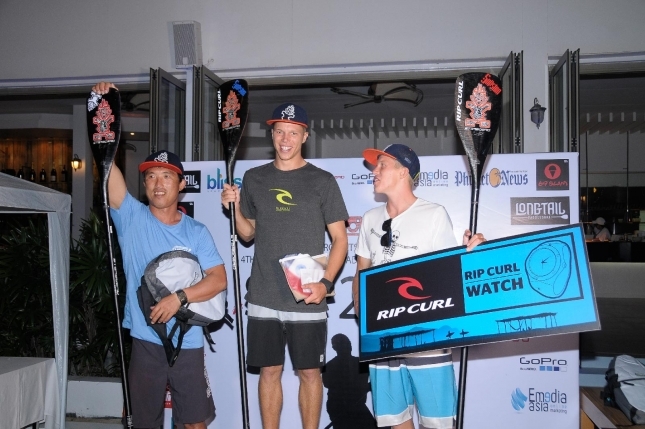 We’ve been training in Bali in the last two months and this contest was our first race of the year. We were stoked to finish 1st and 2nd in both the sprint and long distance races, which is a very nice way to start the year! 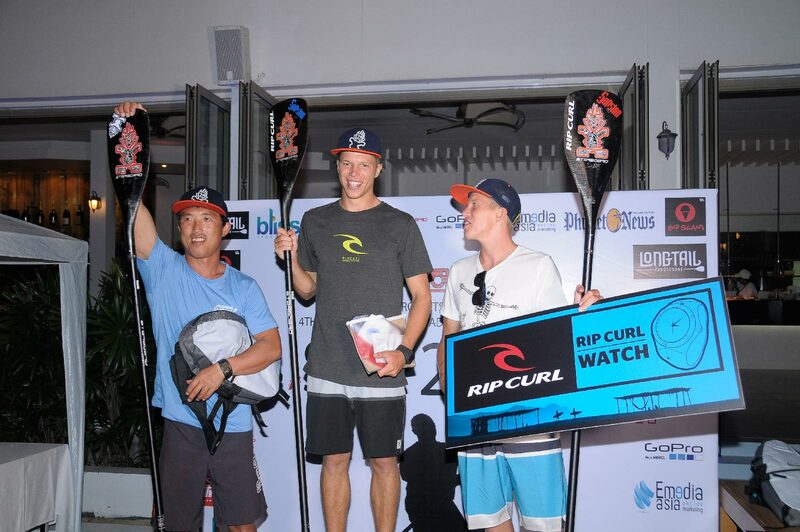 We were really happy to be invited to this event, as after living in Thailand for a good period last year, and both being involved with the development of the local SUP life, it was great to meet again with friends and line up with them in the country’s biggest SUP competition. 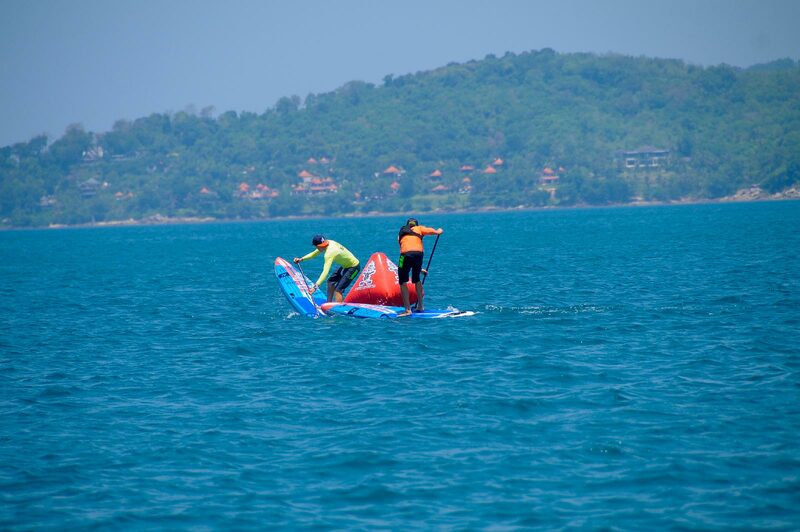 Special thanks to SUP Station Thailand, who flew us over, for all the support. 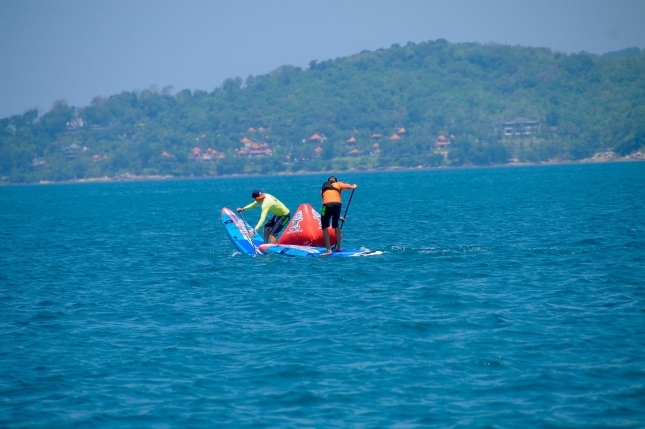 SUP Station Thailand is a new project promoting the sport in the country, and we were super proud that owners Paul and Aob jumped in the race and both finished strong! 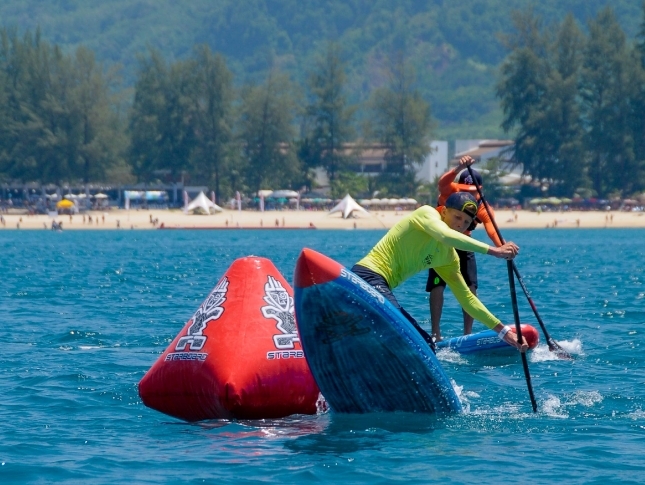 We’ve been working with them since they started paddling and I would not be surprised if we start to see Aob’s name popping up more often in the Asian competitions, as the first generation Thai stand up paddlers! Thanks again to Thailand SUP Festival for a great weekend! We also got a recap from race organiser Tim Campbell, who’s been helping pioneer stand up paddling in the region over the past few years. As the rest of the world is going absolutely crazy about SUP, Asia is still looking and scratching their head asking, what even is this sport? 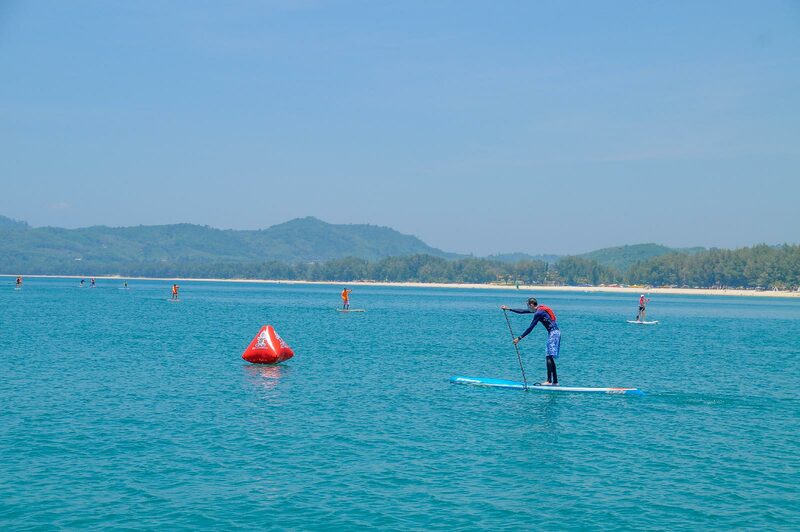 But Saturday 5th March 2016 saw a memorable day at Bliss Beach Club; 70 competitors from all over Thailand and many different countries including Australia, Japan, Korea, Hungary, Canada, Singapore and even India arrived to tropical Phuket Thailand in preparation for Thailand’s biggest SUP festival, which was powered by Longtail Paddle Surf, SE Asia’s largest dedicated SUP shop. Stand Up Projects, the festival organizers have been developing this event to help promote and grow SUP in Thailand and Asia for the last 4 years. 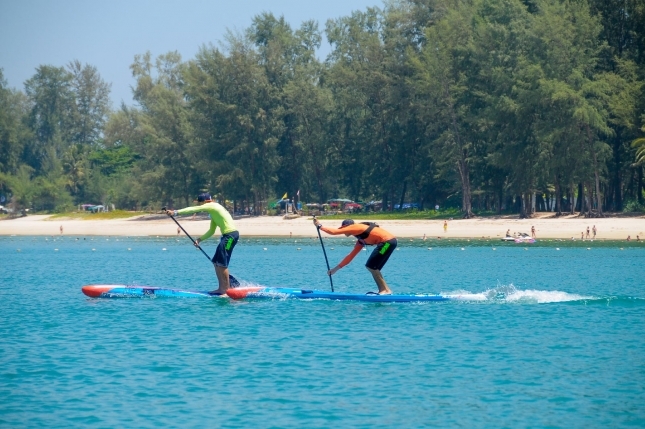 Thailand is very special in the sense that some of the world’s leading SUP brands including this years official board sponsor ‘Starboard’ have their factories in Thailand. 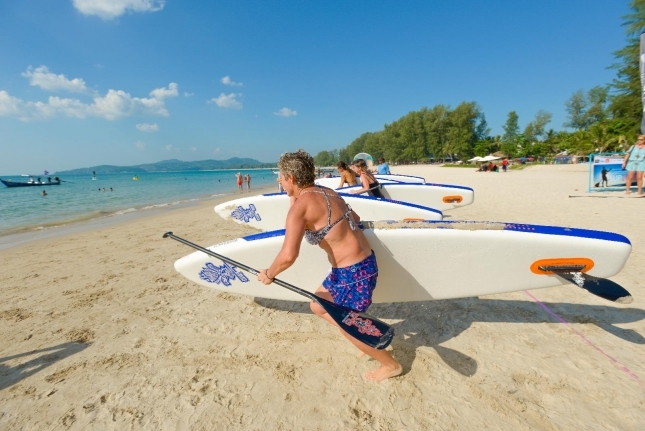 So why has it taken this long for SUP to take off here, especially with it’s backyard play ground of crystal water ways, archipelago of limestone islands and quaint white sandy beaches? Doesn’t matter, all you need to know is that Thailand’s SUP community is very much alive and leading the charge in Asia, putting on an epic display of SUP race competition and SUP festival activities including SUP Polo by Starboard, Electric Surfboards by Asia Marine & the outrageously entertaining Flyboard Show by two time world champion Suksan Tongthai & Team Flyboard Thailand. Now to the business end. The elite 6km race also included a 100m soft sand beach sprint after each of the 3 laps, which tested most. However, the Hungarian brothers Bruno & Daniel Husulyo were unstoppable, taking out 1st and 2nd respectively as well as a gutsy effort by Ollie O’Reilly who scored himself 3rd place. 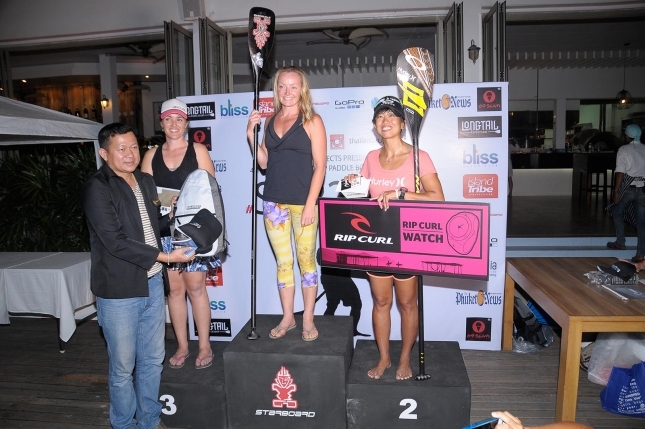 Kristy Morris from Australia took out 1st place in the women’s division followed by Rachel Ng and Kate Johnson. 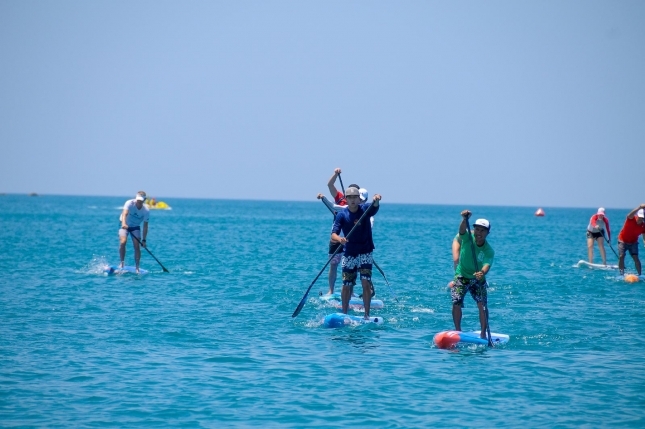 The festival also included a 200 metre sprint category, team relay race, under 16’s sprint race and a family race involving 2 people on 1 board, which was a huge hit and allowed those who had never tried SUP or weren’t that competitive to give it a go. 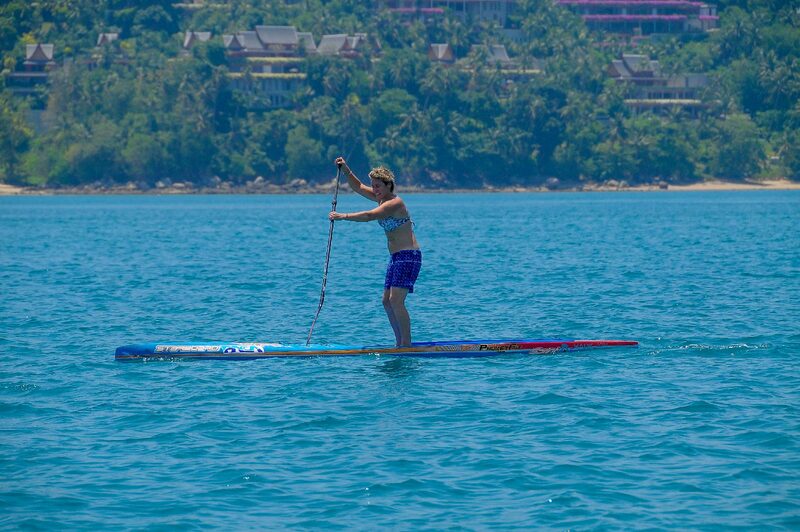 We also had a special SUP yoga session lead by ‘Water Walk India’. Check out our Instagram and Facebook to see all the action. As Phuket, Thailand is now an internatioonal destinatin and a half way stop between the thriving SUP communities of Australia and Europe, not to mention the home to many of the world’s leading SUP brands, Thailand is looking like a promising stop in the future for competitors and their families to visit Thailand, race and enjoy this slice of paradise. There are so many people behind the scenes who made this event what it was and it really couldn’t have happened without the support of the whole community coming together and pitching in whatever they could to help. It’s such a special thing to witness and as long as this community minded culture remains, the sport of SUP in Thailand and Asia has a great future ahead. 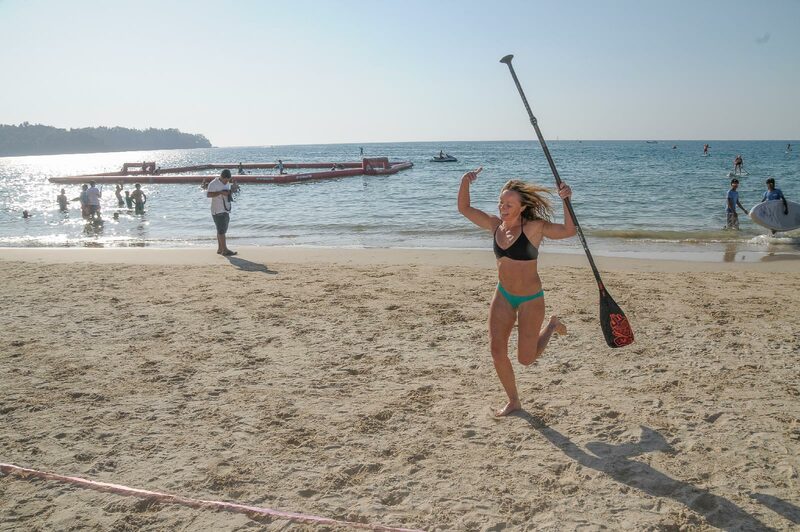 Special thanks to our other sponsors, the local Phuket government, Emedia Asia, The Phuket News, Island Tribe, GoPro and 69 Slam, 2016 Thailand SUP Fes/val was a raging success. 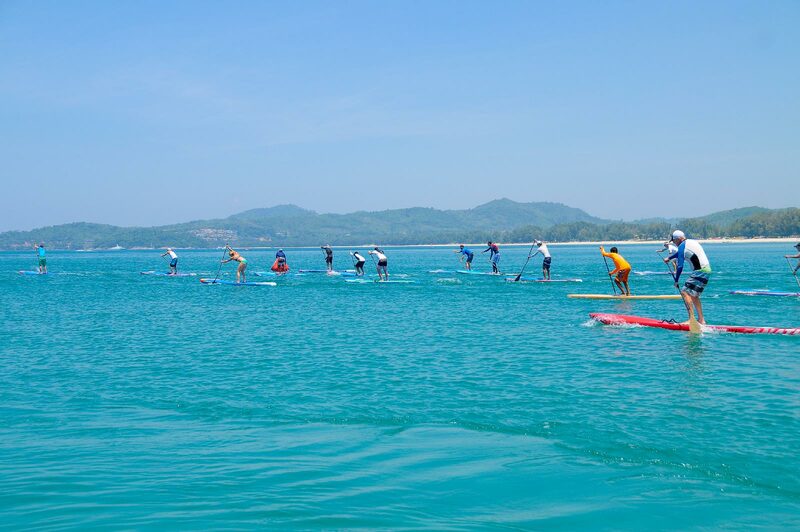 Check out the action below, and consider adding the 2017 Thailand SUP Festival to your bucket list.